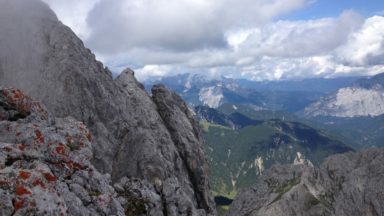 Shorter Walks in the Dolomites by Gillian Price has something for everyone here, from high mountain walks with strenuous climbs for experienced walkers, to leisurely family strolls through the valleys. 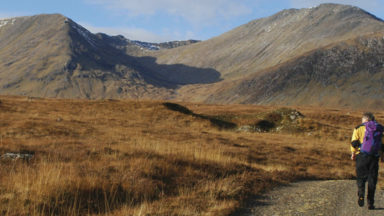 Each walk described in this guidebook can be completed in a single day. The extensive network of trains and buses across the Dolomites is refreshingly inexpensive, easy to use and unfailingly reliable. All but two of the 50 walks start and finish at a point accessible by local transport. 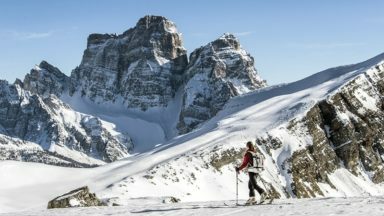 Visit the Dolomites between June and October for walking, unless you’re equipped with showshoes or skis. From early summer many low-altitude walks are feasible, but it’s worth waiting until July for high-altitude routes to be free of late-lying snow. Readers should remember to check opening times for lifts, refugios and mountain bus services, as these tend to only begin summer operation from late June, through to September. Walk 18 Pelmo: the paths have been cleared and the Pelmo variant is thankfully feasible once again. Walk 18 Pelmo: Torrential rain has caused scree flows which have submerged paths on the eastern flanks of the Pelmo. 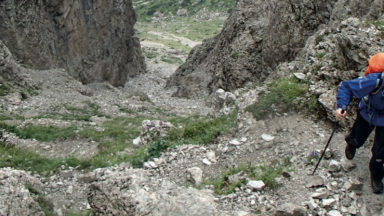 The path between Forcella Val d'Arcia and Rifugio Venezia is temporarily closed. p41 Tabacco maps can now be purchased through the Tabacco website and a handy App for digital maps downloaded from www.tabaccomapp.it . Unfortunately there's a blip in the reprinted edition and the first paragraph on page 106 should have been removed. The new text at the end of page 105 should have replaced this. Rifugio Ciampac details no longer work and correct details can’t be found. The phone number of Rifugio Genova has changed to 0472 670072, mobile 347 266 7694.
p105 After the ledge (2243m) you enter the Ciadin del Loudo. Due to rockfalls, path n.223 has been closed, so instead keep straight ahead (n.216) to Forcella Marcoira (2307m) for vast views. After a plunge W (watch your step!) you join n.213 and go N for a more straightforward descent through woodland down to Passo Tre Croci. This cuts about 30min off the original timing. The spur road just east of Bolzano, and the spur running SE down to Carbonin, showing as motorways (double line) should not be motorways (so should be a single line). 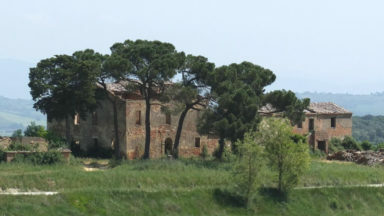 The telephone number for Capanna degli Alpini is incorrect. It should be 0425 31103. Your short walks book was absolutely spot on for the walking we did - and we will get back to the Dolomites. Thank you for the tremendous amount of work that I can see you put into the short walks book – incredible achievement and very informative. 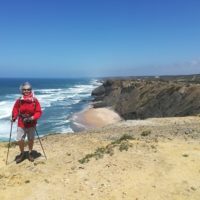 Your “shorter walks” book is a really great idea!! In anticipation of a hiking trip in the Dolomites, I purchased your short and day walk guidebooks and have immersed myself in them. Congratulations on two excellent publications. 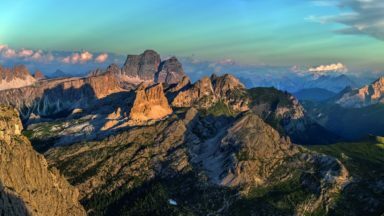 My wife and I have just returned from a week of hiking in the Dolomites in October, guided by your “Shorter Walks in The Dolomites.” We thoroughly enjoyed our trip, and came to trust your advice down to the minutest detail. Thank you. Thank you for your excellent walking books. I'm incredibly impressed that you researched all your books on public transport and have provided books that are geared towards that... very helpful. This is our third year in these amazing mountains, and your book has proved invaluable. We really appreciate the clear mapping, the photos, details of the rifugios and the nature of the paths. We have 29 walks to go and are looking forward to every one of them in the years to come. Thank you for a book that has inspired us to discover this extraordinary place.